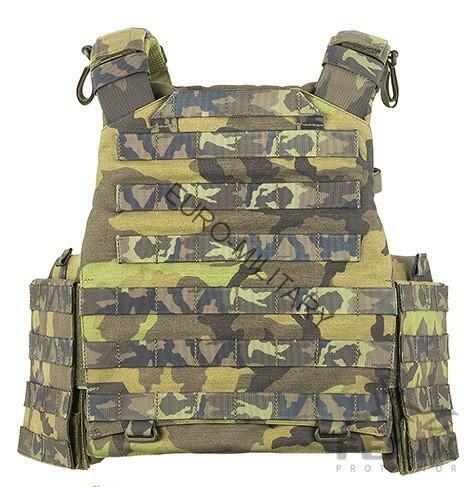 vest was designed in cooperation with Operators of 601st Special Forces Group of the Czech armed forces, stationed in Prostejov. 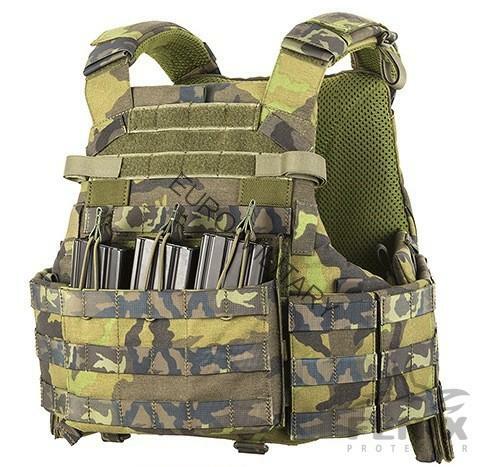 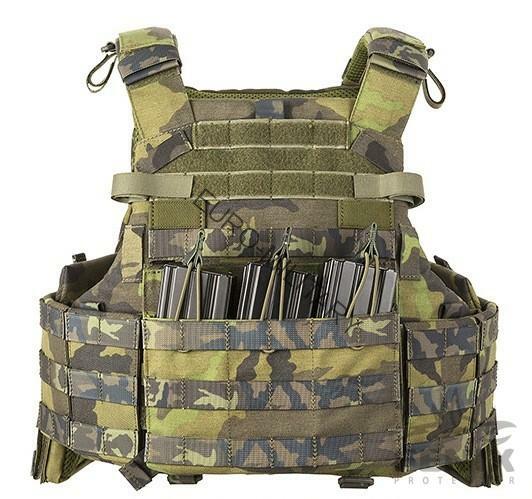 Vest Structure: front part, rear part, two side parts, padded straps - couple, 2 pockets on the side panels, 4 side platforms on each removable pouches, one front platform 3 firmly sewn pouches for 3 NATO standarts magazines 5.56. 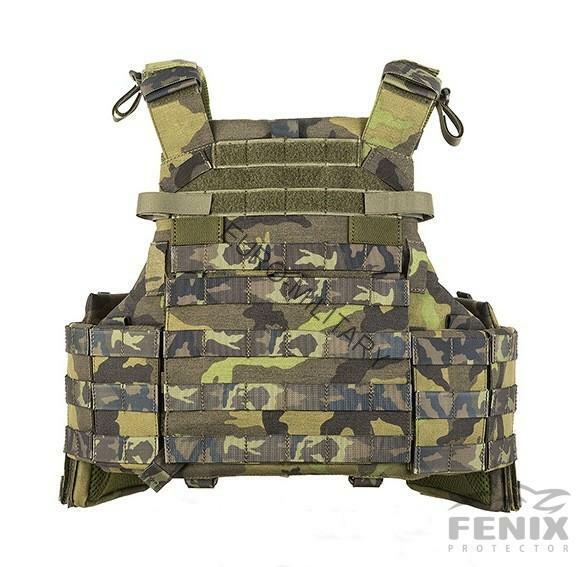 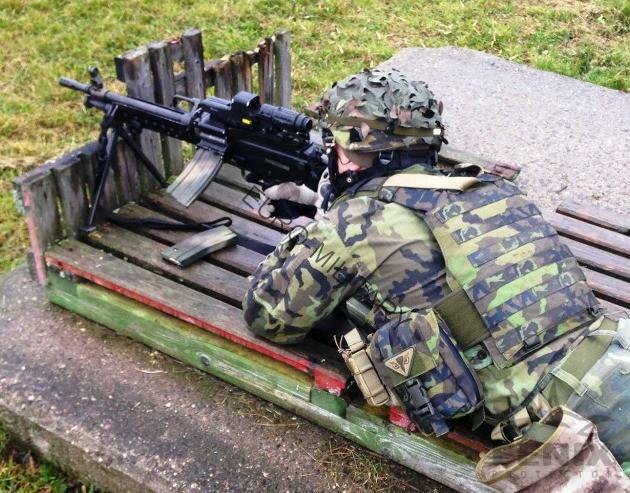 Vest tested in real battlefield environments.